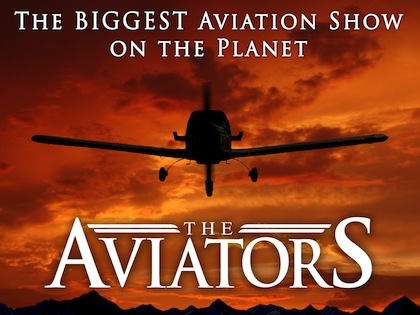 The Aviators airs on broadcast television with a weekly US audience of over 9.3 million in almost 3.6 million TV households as reported by Nielsen during the show’s second season. In the United States, The Aviators has aired on over 86% of PBS stations across the country – numbers equaling PBS’ best network programs. The series airs in Canada on CHEK on Bell TV and Shaw and is also an incredible international hit already airing in over 100 countries mainly on Discovery Channel. Season 3 also broke the Top 50 chart of OVERALL television series’, ranking #46, in company with shows like Breaking Bad, Mad Men, The Office, Boardwalk Empire, Modern Family, and The Simpsons. 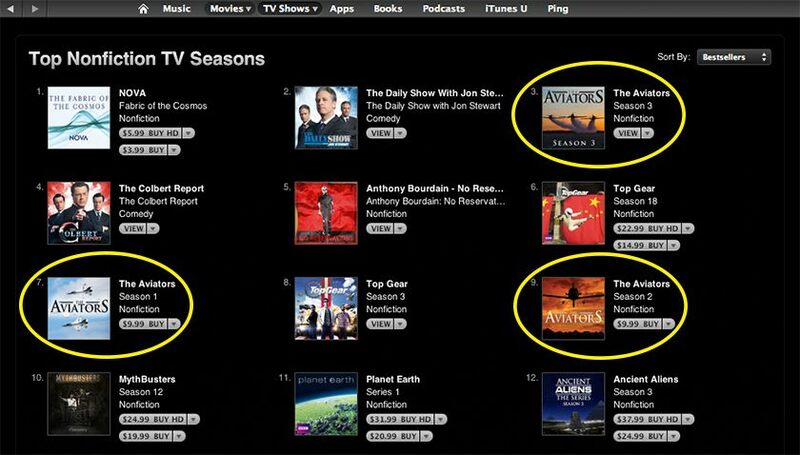 Within just one week of the free-download release of the first episode of season 3 on iTunes it became the top All-Time Bestseller among free TV episodes. Season 4 rose to #2 on the iTunes charts within hours of its release and maintained a chart position for months. Season 5 reached the #4 position and Air Boss topped the charts becoming our first #1 hit! If The Aviators is not showing in your area, contacting your local PBS station directly has so far proven to be very effective in influencing station program directors to air the show. But with over 80% coverage on PBS you might simply have missed airings in your area. Online program schedules can be inaccurate with respect to independent productions such as ours, so not seeing The Aviators on your station’s listings may not necessarily mean the show isn’t being aired. In the meantime, you can always watch full episodes online in our Members Area or even purchase the DVD or BD set of each complete season. Of course we’re also available on iTunes, Google Play, Vudu and Amazon! So there’s plenty of ways to make sure you get your fill of The Aviators!